Will Smith, Denzel Washington, Jamie Foxx and Morgan Freeman all owe a debt of gratitude to James Edwards. Today, two of Hollywood’s five highest-paid stars are black: Will Smith and Denzel Washington. Jamie Foxx (Ray) and Morgan Freeman (Million Dollar Baby) are the front-runners for the best actor and best supporting actor Oscars, respectively. (And while I have yet to see Ray, I did see Million Dollar Baby, and can tell you that Freeman is every bit as good as his press). Smith, Washington, Foxx and Freeman all owe a debt of gratitude to James Edwards. And we will surely hear from yet more pampered black multimillionaires, as we have heard in recent years from Delroy Lindo and Cuba Gooding Jr., of how they suffer from racism in the entertainment industry. A few years ago, current best actor nominee Don Cheadle (Hotel Rwanda) also spoke vaguely of ill treatment he had suffered while working in TV. That ill treatment consisted of producer David E. Kelley giving Cheadle, then an unknown actor, a featured role on the most honored drama on network TV, Picket Fences. We should all suffer such indignity. Give Denzel Washington credit for mocking such absurdity at Berry’s Oscar show. In 1993, HarperCollins published The Rage of a Privileged Class, by journalist Ellis Cose, on the anger members of the black upper-middle class feel over perceived slights. (One black lawyer at a big firm told Cose that he does some client outreach to “protect” himself, as if that were extra work. As George Gilder observed — and I missed — client outreach is central to the man’s job! The lawyer thought that when he fulfilled his basic professional obligations, he was doing his firm a favor, as opposed to merely coming to the office, drinking coffee all day, and calling his wife to tell her how much he suffered under racism.) The title of Cose’s book, which given the reality should have been sardonic, was meant in deadly earnest. If you were under a certain age and didn’t know any better, to hear today’s spoiled black movie stars — most of whom grew up middle and upper-middle class and have probably never even heard of James Edwards — moan about how hard their lives are, you’d be tempted to scoff at the idea that blacks ever suffered under racism in Hollywood. If anything, black Hollywood performers today are rewarded for the crassest racism. Jada Pinkett Smith announces to the world that she is better looking than any white woman. Spike Lee glories in his racism in his movies, his public pronouncements, and even in his behavior towards whites on the street. (If white racism were a problem in New York, Lee would have to constantly get new sets of dentures.) Charles Dutton, who previously had no directorial experience, gets a TV directing job based on the color of his skin, makes a point of insulting the white members of his crew the first day, when they go to greet him, and demands that white crewmen be replaced (which they were), at great expense, with black crewmen who are flown in from all over the country. 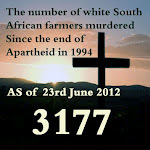 Come to think of it, such conduct was not only racist, but criminal. The rage of a privileged class is an instance of what I call Heller’s Law, after the German socialist political theorist Hermann Heller (1884-1934). Heller showed that the complaints of injustice trumpeted by a society’s establishment media tend to stand in direct contradiction to reality. But once upon a time, blacks did suffer terribly under racism in Hollywood, just as they did in much of American society (while the establishment press of the day, with rare exceptions, tended to be silent). Who was James Edwards? A grandiose way of putting it, is that James Edwards died for the sins of the Delroy Lindos, Cuba Gooding Juniors, and Don Cheadles. Edwards died so that they could earn millions per year, and be able to complain without fear of reprisal, about how hard their lives are. After the war, Edwards headed for Hollywood. Before the war, most movie roles for black men were demeaning and dumb, most famously the servant roles played by Stepin Fetchit. But after the war, there was a new wind blowing, and a new breed of liberal, white moviemaker — men like director Mark Robson and producer (later producer-director) Stanley Kramer — looking to portray black men with a dignity unlike what so many pre-war roles had afforded them. The downside of this development was that black men went from often playing inept, lazy idiots to playing noble victims in didactic social problem movies, which competed for the Writers’ Guild of America’s Robert Meltzer Award for a Screenplay Dealing Most Ably with Problems of the American Scene. I kid you not. Edwards’ first role was a small one, as a prizefighter in Robert Wise’s classic story of a fixed fight and its aftermath, The Set-Up (1949). 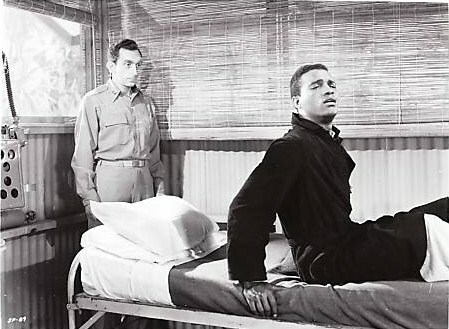 But it was later that same year, in Home of the Brave (produced by Kramer and directed by Robson), as a black soldier who suffers from the racism of his comrades-in-arms, where Edwards made his mark. 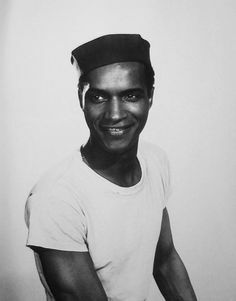 Note that Edwards gave his breakthrough performance in Home of the Brave nine years before Sidney Poitier would get the role of “Noah Cullen” in Stanley Kramer’s The Defiant Ones, that would make Poitier a star. Unfortunately, in the mid-1960s, as Poitier was rising to become the world’s number one box office star, he went in the opposite direction of Edwards. Poitier quit being an artist, and focused instead on being a cinematic role model. In 1951, Edwards appeared as a corporal in Sam Fuller’s Korean War story, The Steel Helmet, and as “Joe Morgan,” who befriends “Larry Nevins” (Arthur Kennedy) in a veterans’ hospital, in Bright Victory. Larry, who is blind, doesn’t know that Joe is black. One of the most dramatic moments in cinematic history comes when Larry causally says the “n”-word in Joe’s presence. In 1954, Edwards played an uncredited bit role in The Caine Mutiny (also produced by Kramer), as a mess “boy” in a scene at the center of Captain Queeg’s paranoid “strawberries” delusion. Such tiny roles were too much a part of the resume of a man as gifted as Edwards, yet he never sleepwalked through them. Any time I see him pop up in a movie, if only for a moment, I am immediately aware that I am watching Edwards, who will get whatever he can out of the scene, often through restraint. A few weeks ago, I was watching Don Siegel’s movie, Coogan’s Bluff (1968) on TV. As Clint Eastwood’s fish-out-of-water Arizona deputy sheriff, “Coogan,” is walking up the stairs in a New York apartment building, he comes across an apparent junkie — Edwards! Edwards’ “junkie” was actually an undercover detective. Edwards was on screen only for about a minute, and had only a couple of lines, yet he was effective. Although James Edwards made at most only 28 pictures, most were distinguished, and quite a few were classics: The Set-Up, Bright Victory, The Member of the Wedding, The Caine Mutiny, The Killing, The Manchurian Candidate, Patton. (It is not clear whether Edwards or another actor using the same name performed in the last, obscure picture credited to him, Legend of the Northwest, which was released eight years after his death.) He also performed in dozens of episodes of TV series. Ironically, the name “James Edwards” is best known as that of the character Will Smith played in Men in Black. Smith, who is known to be extremely bright and well-read (and not shy about it), would certainly have known who the real James Edwards was. Patton (1970), in which Edwards gave a dignified performance as the general’s (George C. Scott’s) personal valet, Sgt. William Meeks, came out months after Edwards’ death, on January 4, 1970, from a massive heart attack. He was only 51 years old. Patton, which won seven Oscars, would surely have rejuvenated Edwards’ career. 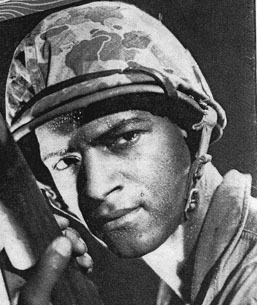 James Edwards as the very real Sgt. 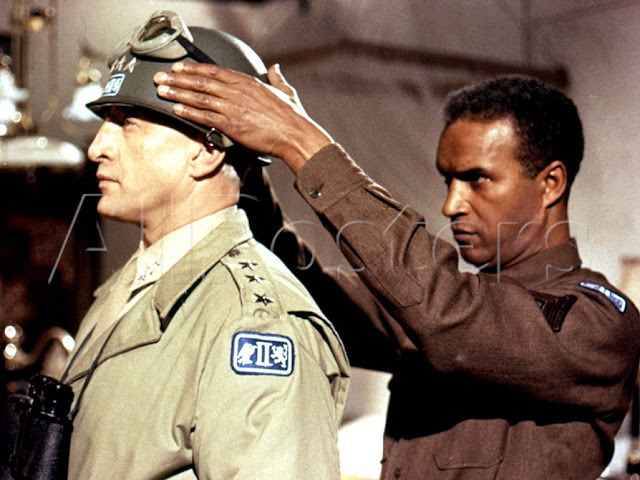 William Meeks, with George C. Scott, in Patton (1970); "sic transit gloria"
Woody Strode said that, in reaction to James Edwards’ trials and tribulations, in his acting career, he made a point of not trying to become an artist. Strode presented an ironic parallel contrasting Edwards’ celluloid life in Home of the Brave, and his real life in Hollywood. (Strode was a world-class track and field man and a football star at UCLA who, with his old UCLA teammate, Kenny Washington, (re-)integrated the NFL in 1946. Strode later played on Canadian Football League Grey Cup championship teams. After retiring from football, he was a popular professional wrestler, eventually landed in Hollywood, and made pictures for directors like John Ford who liked physical actors who could do their own riding and stunts. A black actor named Jimmy Edwards also worked out of [Strode’s agent] Sid Gold’s office. Jimmy was famous for a Stanley Kramer film called Home of the Brave. You’ve got to see that one, it’s a classic. Home of the Brave came out in 1949. It’s about segregation in the Army during the second world war. Jimmy played the lead, a black soldier who gets more abuse from his own men than he gets from the enemy, but by the end of the picture we learn he’s an equal. Well, that was probably the finest job that had been done by a black actor in the motion pictures. Circa 1958, Edwards landed a role in Lewis Milestone’s (All Quiet on the Western Front) Korean War picture, Pork Chop Hill. He talked Strode into trying out for another role in the picture, coached him so that he won the audition (Edwards’ chief tips to Strode were to underplay the reading, and to avoid observing or listening to his competitors’ auditions), and when Strode got the role, Edwards coached him through the entire performance, at times from the sidelines with the cameras running. Strode’s career took off after that, and during the 1960s, he was much better known than Edwards was. But without Edwards’ help, today we might not even know who Woody Strode was. Without Edwards, Stanley Kramer might still have made Home of the Brave, but it wouldn’t have been as memorable. 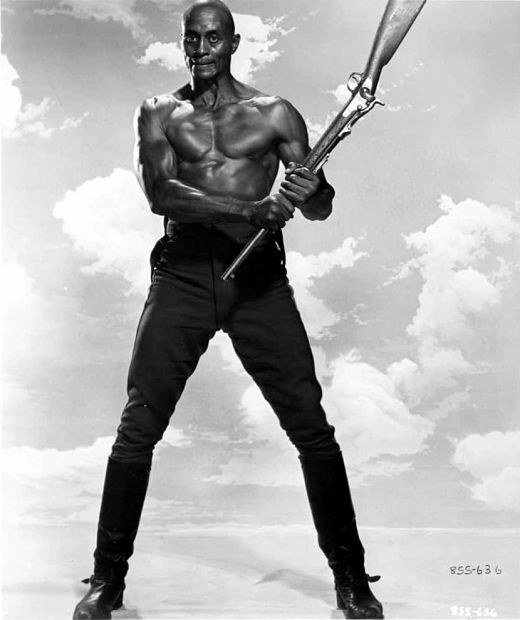 Without Edwards around to coach Woody Strode, Strode would not have gotten his role in Spartacus. That film still would have been made — its star and producer, Kirk Douglas, was not to be denied — but it wouldn’t have been as powerful. And without Edwards, Sergeant Rutledge would not have been made at all, and that would have been a crying shame. John “Papa” Ford made Rutledge with Strode in mind, with whom he would develop a surrogate father-son relationship. (I don’t know what was worse — having Ford for a real father or as a surrogate!) That powerful yet anomalous movie was the first to tell the story of the black “buffalo soldiers” in the cavalry following the Civil War, and was the most honest movie ever made about the race relations of the time. And yet, although it could not have been made prior to World War II, it had a wonderfully throwback, pre-Civil Rights sensibility to it, due to its having been made by a man who was then 64 years old. Without James Edwards’ performance in Home of the Brave, Stanley Kramer might never have made The Defiant Ones. The Defiant Ones was based on an original screenplay by Nedrick Young and Harold Jacob Smith. But without Edwards’ example, one wonders if Kramer would have commissioned Young and Smith’s screenplay at the time, if ever. Kramer had repeatedly hired Edwards on his previous films: Home of the Brave, The Member of the Wedding, and The Caine Mutiny. Heck, Edwards was the only black actor with whom Kramer had any history. And so, when Kramer imagined a black actor in the role of “Noah Cullen,” whom could he have pictured but Edwards? I suspect that Edwards’ drinking may have cost him the role. And though Sidney Poitier was then a rising, dynamic, young actor, he was no movie star. The Defiant Ones was the key to his career. Without The Defiant Ones, Poitier would still have had a relatively successful career, but he would not have enjoyed anything like the fame and adulation that came to him, and likely would not have starred in The Lilies of the Fields (1963), for which he won his best actor Oscar. And Sidney Poitier “begat” Denzel Washington. 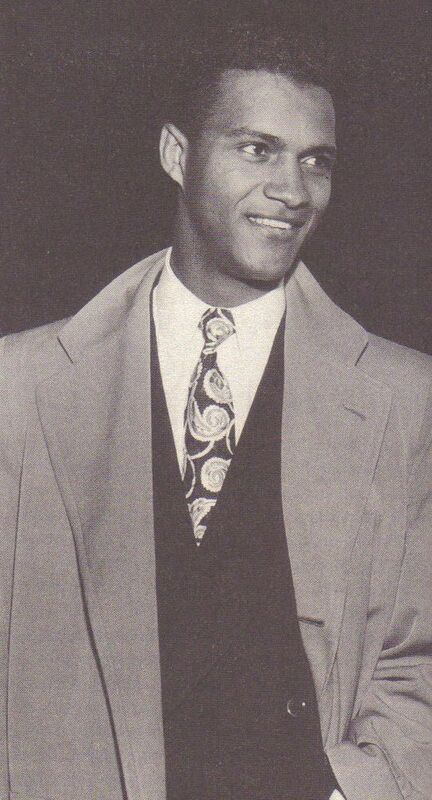 One can debate whether James Edwards had that elusive quality that makes a man not only an excellent actor, but a movie star. Hyperbole calls it “charisma;” I prefer “magnetism.” But no one familiar with postwar movies can debate Edwards’ pivotal role in their history. And so, when you watch Jamie Foxx and Morgan Freeman give their acceptance speeches on February 27, raise a glass to James Edwards, one of the men who made those Oscars possible. 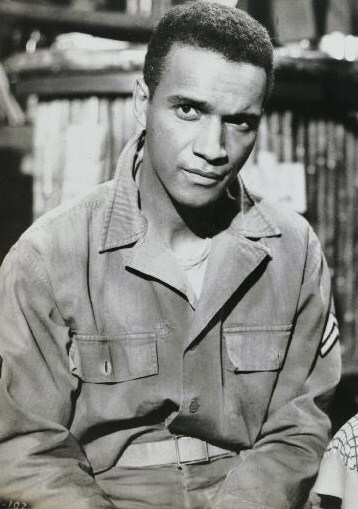 I remember James Edwards for "Men in War" and "Pork Chop Hill." In the latter, he tells Woody Strode's character, "I've got a personal interest in everything you do." When Will Donald Trump Denounce Spaghetti?! Indictment Returned in Jessica Chambers Case! Jeb Bush Finally Does Damage to Donald Trump! To My Readers: Happy Valentine's Day! Why are Most Academics Miserable?